Don't Panic! We can probably recover that data. We work with an independent data recovery company who specialise in clean-room data recovery and data restoration. 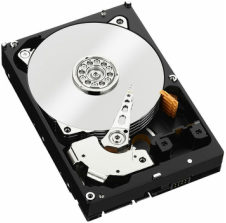 In basic terms, we recover data and retrieve information from all kinds of failed data storage media and hard drives whether this is from your laptop, desktop, RAID array or USB memory stick. We came to see the lack of low cost specialist data recovery and information retrieval services across the UK, and so our philosophy is simple; to make data recovery accessible and affordable to all. Through our partner we offer a premium, professional data recovery service to all customers, whether you are a private individual or a blue-chip business. The small, friendly, dedicated team are on hand to ensure that the process of recovering your data is a smooth as possible. Although there are many IT Support and repair businesses throughout the UK, the vast majority do not have the expertise or indeed the equipment available to retrieve so-called “lost” items of information from logically or physically damaged media. So if you have lost all your photographs or if your business is at a standstill due to a failure of a critical hard drive, our partners are fully equipped to help. Seeking professional advice and guidance should always be your first course of action if your data is of any value.